Chrome Alternator Conversion Kit. 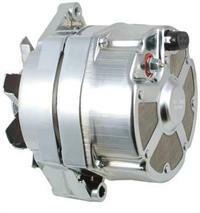 For Delco type 10Si Series Alternators. 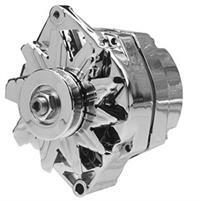 105 amp General Motors Delco Remy type CS130 series alternator with chrome housing. Comes with self-exciting voltage regulator. New SHOW CHROME 145 amp Delphi Automotive Systems type Heavy Duty AD244 Series Alternator with 210 Amp Rated Bridge Rectifier. 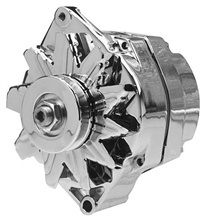 New 170 amp Delphi Automotive Systems type AD244 Series CHROME Alternator with Heavy Duty Bridge Rectifier. 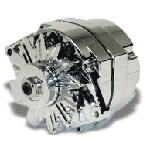 New 200 amp Delphi Automotive Systems type AD244 Series CHROME Alternator with Heavy Duty Bridge Rectifier.